Spinal compression fractures are most commonly found in elderly patients suffering from osteoporosis. 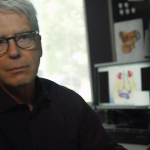 Persisting severe pain from compression fractures can now be controlled or eliminated, without surgery, by a percutaneous (“through the skin,” i.e., no incision) vertebroplasty, Balloon Kyphoplasty, RF kyphoplasty or sacroplasty procedure at one of our affiliated Illinois hospital locations. Prior to treatment, every patient will undergo clinical evaluation, then detailed spinal imaging (usually MRI scanning) to precisely characterize and target the problem. Physicians can perform the vertebroplasty, balloon kyphoplasty, RF kyphoplasty or sacroplasty procedure an Illinois hospital near you. Under mild IV sedation, using local anesthesia, a needle is painlessly advanced into the fractured vertebral body, which is done under fluoroscopic guidance. Next, a small amount of X-ray dye may be injected to confirm the position of the needle. Finally, a quick-setting sterile bone cement is injected, stabilizing the fracture and relieving the pain. The vertebroplasty procedure can eliminate the need for prolonged bed rest and narcotics after trauma. Patients suffering from persisting debilitating pain often can “get their life back.” The vertebroplasty procedure is highly effective and extremely safe. There’s a less than 1 % incidence of serious complications. 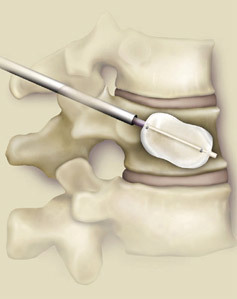 Undergoing the kyphoplasty procedure is a similar non-surgical technique where two needles are placed into the fractured bone, then balloons are inflated inside compressed vertebra prior to cement injection to attempt to restore some lost height. 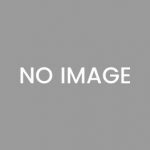 The kyphoplasty procedure is an effective and safe way to repair spinal compression fractures. This newer procedure uses only one needle, rather than two, to introduce a curved instrument that creates a channel for very thick, heated cement to fill the entire fracture. It is potentially less invasive, and allows highly controllable filling. 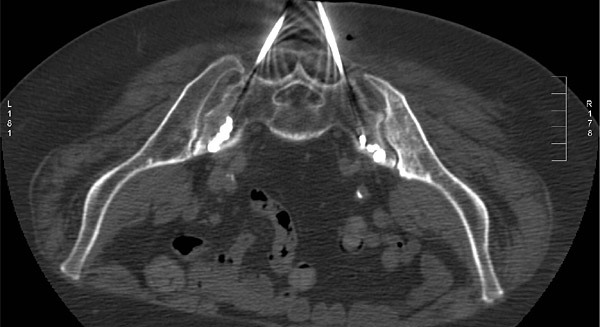 Sacral Vertebroplasty (sometimes called sacroplasty) is a cement injection into the sacrum (the bone joining the spine to the pelvis) under CT guidance. Fractures of the sacrum are also usually caused by osteoporosis, and can cause excruciating pain when standing or sitting. Painful sacral fractures may be stabilized instantly with sacroplasty. 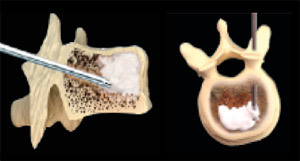 Bone cement (white material) is injected into a fractured sacrum with two needles, using CT scan guidance. More than 700,000 of these painful spine fractures occur each year in the U.S. Other causes include drug side effects, trauma and tumors, which invade and weaken the bone. We perform hundreds of spinal cementing procedures a year and have one of the largest volume spine fracture services in Chicago, Illinois and even the Midwest. If you, or a loved one, are suffering from a painful spinal fracture, please contact us to discuss the vertebroplasty, sacroplasty, or kyphoplasty procedure. Our Illinois-based team can be reached at to schedule an appointment (630) 856-7460.